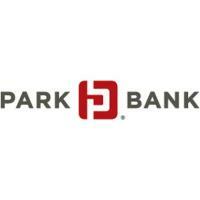 Park Bank is pleased to announce that Jeff Mack has joined the bank as First Vice President - Private Banking. Mack brings nearly 15 years of demonstrated and award-winning experience in the financial services industry, including ranking as the top mortgage lender for five years at a nationwide bank. In Mack’s role at Park Bank, he will be applying his vast experience in analyzing personal financial portfolios for his clients towards mortgages, personal loans, and financial products and services to best fit their needs now and well into the future. Mack’s commitment to excellence, integrity and leadership is evident from his background as a former University of Wisconsin football team captain and Academic All-American. Today, Mack applies that passion to giving back to the Dane County community. Mack is a Board Member for the Overture Center for the Arts, program committee member at the Boys and Girls Club of Dane County, and an advisor for the Nehemiah Center for Urban Leadership Development. Mack will be located at Park Bank’s central office at 1815 Greenway Cross in Madison. His contact information is 608-278-2811, cell 608-345-2579, jmack@parkbank.com and jeff.parkbank.com.